Open your website front page, under Administrative account. Click “Fonts” at the top of your page. Immediately after that font settings window will be displayed, type font names for needed elements there. Click to apply new font. 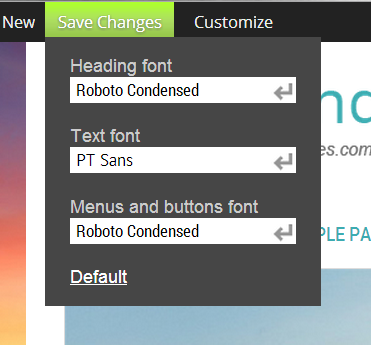 You can reset your font settings any time you want, just click ”Default” in the font settings window.